Halloween night for most people with kids means tons of candy. That translates into tons of trash from candy wrappers. 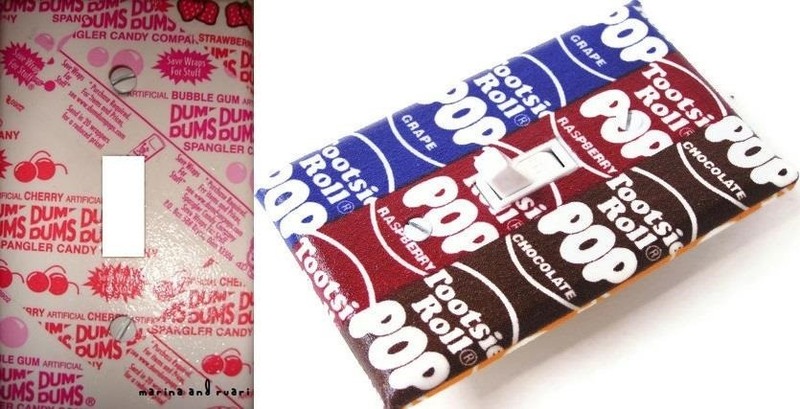 But even though you probably wouldn't think it, there's no shortage of alternative uses for those wrappers, from clothing and accessories to home decor. This year, get creative instead of just tossing them away. 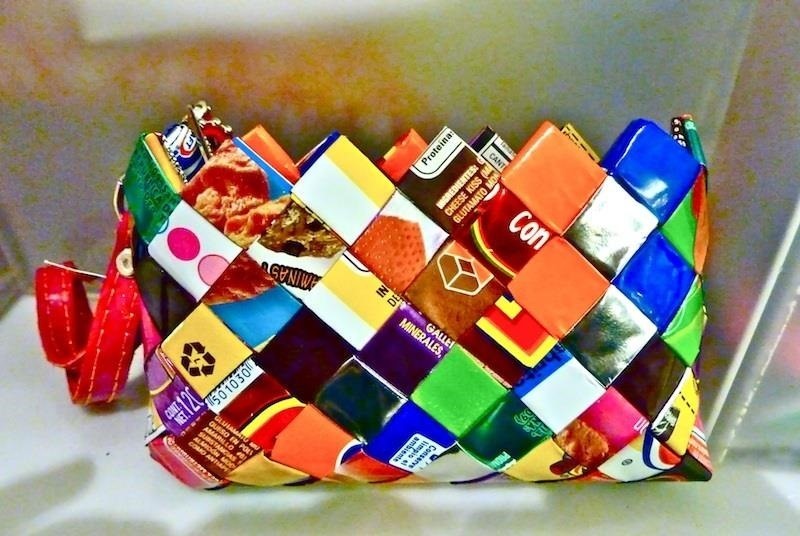 Check out these eleven DIY projects and put your "trash" to good use. 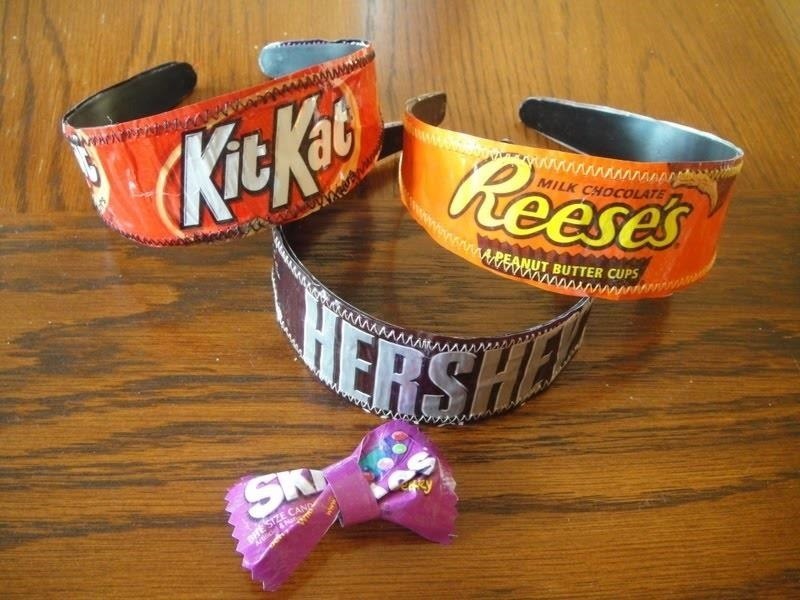 There are a bunch of ways to turn candy wrappers into any kind of jewelry you can imagine. If you want to go minimalist, use one big wrapper to make a headband. 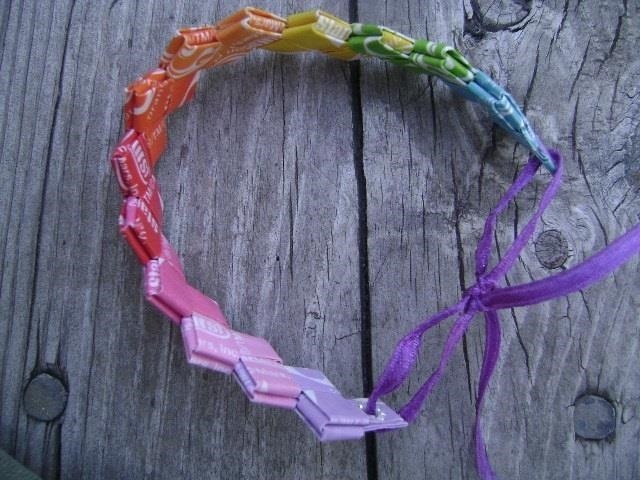 You can also make a bracelet with nothing but folds, or roll the wrappers up to make beads for necklaces and earrings. 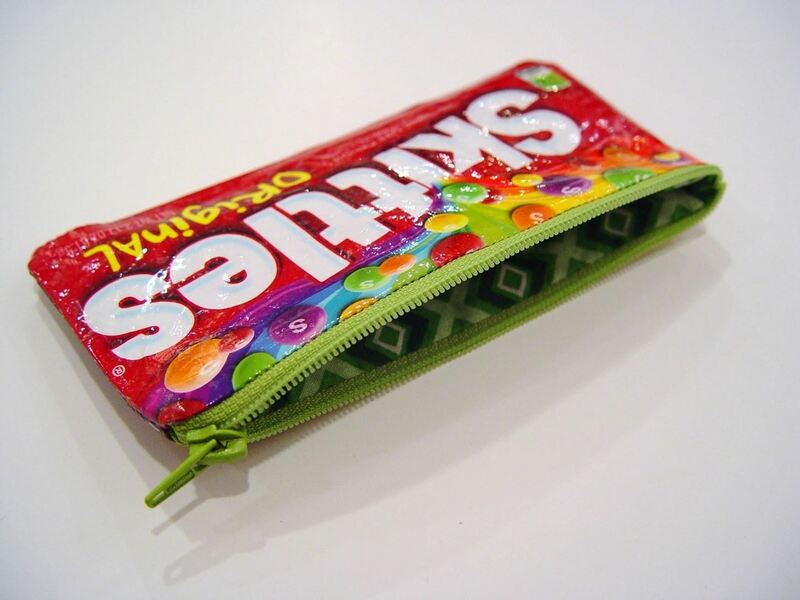 Wrappers from candies that come in bags like Skittles and M&Ms can be sewn into a zippered pouch for holding money, toys or even more candy. Or, you could use the smaller fun-size bags to make a coin purse. Check out the tutorial on Punkin Patterns. The same type of folds used in the bracelet above can also make a wreath to hang on your door. You can make one in neutral colors to leave up all year or use holiday-specific colors if you want to be festive. Find out how to make one at Michele Made Me. 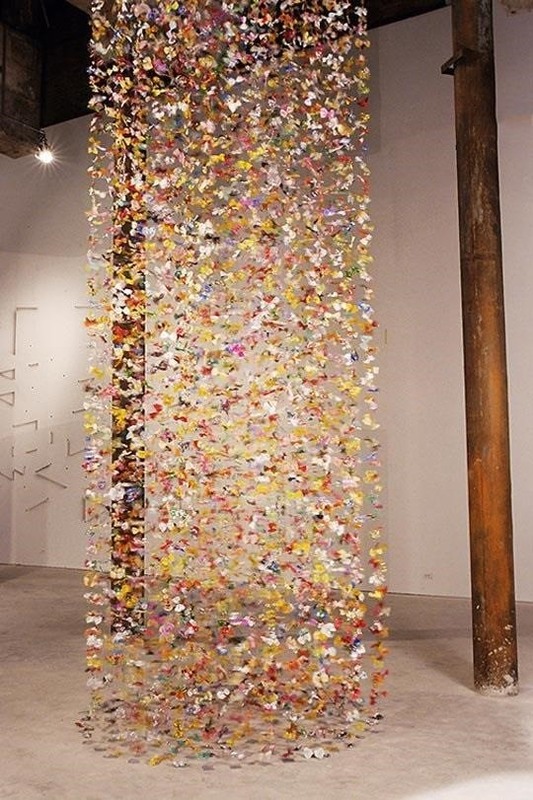 Fold wrappers into a bow shape and hang them on thread to make a fun and colorful curtain for parties (closeup here). 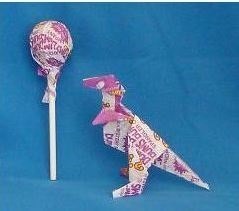 Why origami with regular paper when you can use colorful wrappers instead? Head over to Origami Resource Center to find out how to fold flowers, polyhedrons, dinosaurs and more. 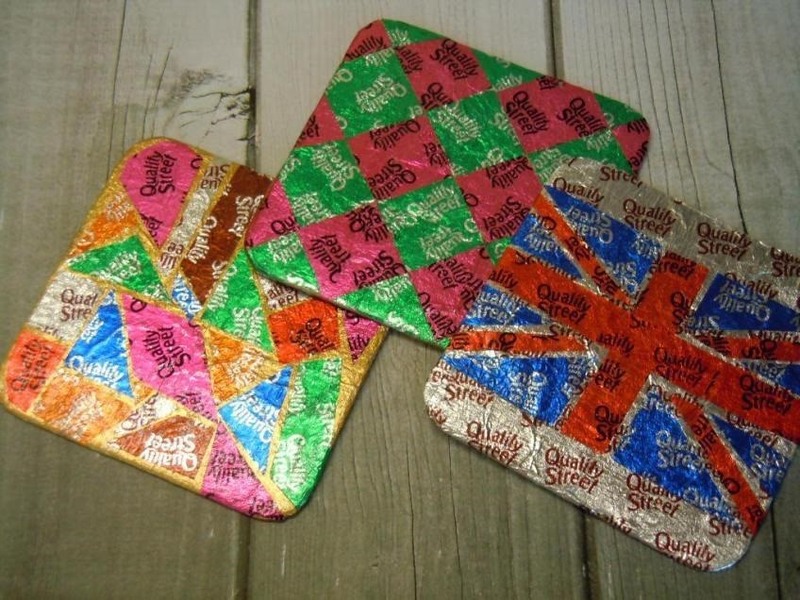 With some cardboard and craft glue you can turn candy wrappers into super simple DIY coasters. You can make it easy with simple squares or get creative with a unique shape. The tutorial is on Re-Creations Project. 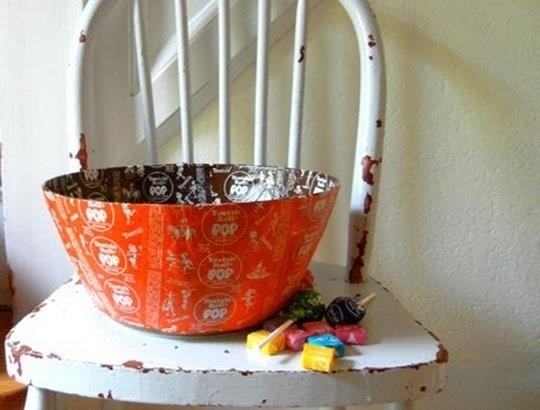 What's more appropriate than using candy wrappers to make a bowl you can use next Halloween to hand out candy? All you need is some craft glue and a plastic bowl you don't mind sacrificing. Head over to Parade for the instructions. 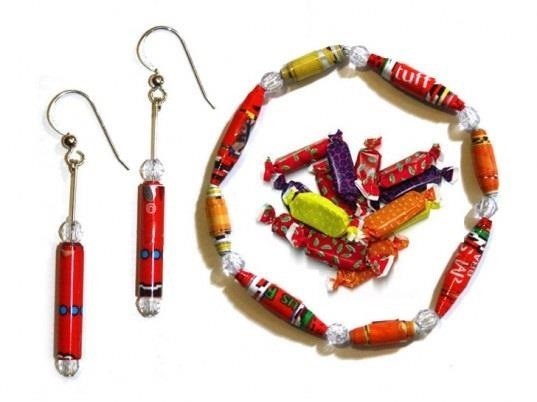 Need an outfit to match your candy wrapper jewelry? If you've got some time on your hands (and a lot of patience), you can make entire outfits out of wrappers like Tara Frey wore to her prom. 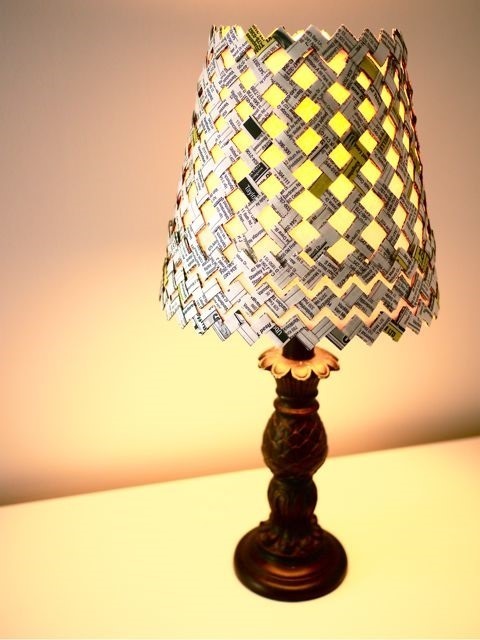 Similar to the bracelet and wreath from above, you can fold candy wrappers into a sleeve that fits over a lamp shade. Check out the tutorial on Michele Made Me. To complete your candy wrapper outfit, you'll need some sort of bag. The process basically consists of making chains and putting them together and you can make them in a variety of shapes and sizes. 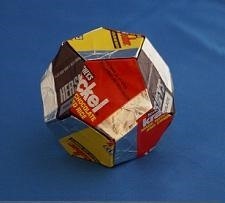 Head over to ScrapHacker to find out how to make one. 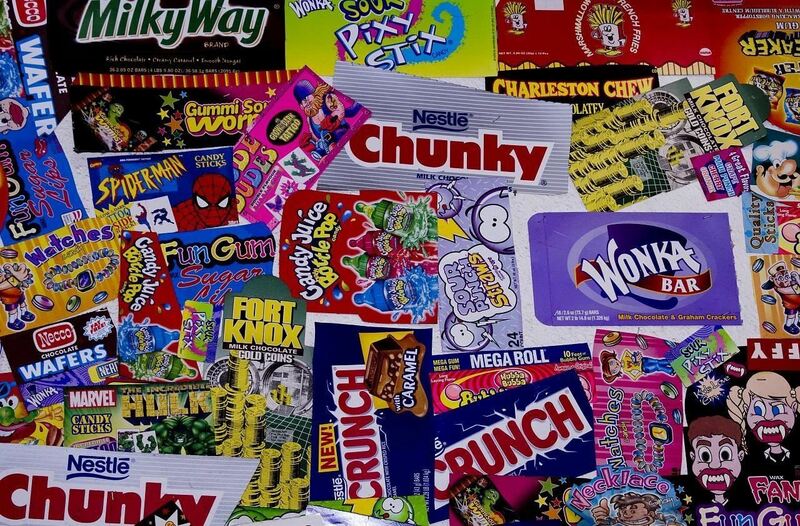 To make your light switches and receptacles stand out more, decoupage candy wrappers onto the wall plates and instantly make your room more colorful. You can find some good instructions over at Martha Stewart's website. 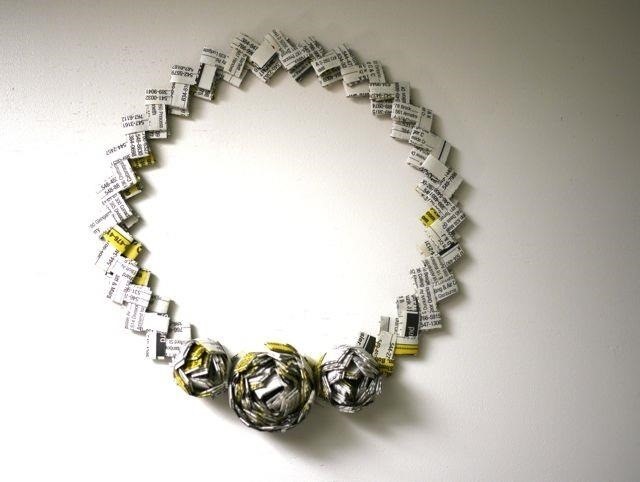 What's your favorite way to repurpose candy wrappers? Let us know in the comments below, and be sure to share photos of your own creations!